This week is Love Data Week an international event ‘to raise awareness and build a community to engage on topics related to research data management, sharing, preservation, reuse, and library-based research data services.’As part of Love Data Week we are publishing case studies that highlight the ways in which people are working with research data across UCL. Today we are highligting case studies from the Consumer Data Research Centre (CDRC). ‘The CDRC is working with consumer-related organisations to open up their data resources; to our trusted researchers. This enables them to carry out important social and economic research.’ UCL is one of the partners in the CDRC. There will be a drop-in on Wednesday 14 February which will offer an oppertunity to learn more about the CDRC’s data. Can smart meters save consumers and British Gas money and carbon by pinpointing which consumers are most likely and best placed to install insulation in their homes? ‘A host of retailers, businesses and organisations have provided details of projects and are now inviting applications from potential Masters students to carry out research on a range of exciting topics. The programme offers an excellent opportunity to work directly with an industrial partner and to link students’ research to important retail and ‘open data’ sources. The project titles are devised by retailers and are open to students from a wide range of disciplines. In previous years, we have worked with students from Geography (and GIS), Computer Science, Business Analytics, Economics and Statistics, but projects are by no means limited to these areas. You can find out more information and apply on the CDRC website. 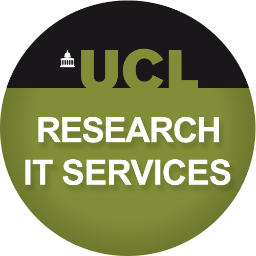 UCL Research IT Services (RITS) organise regular informal events where you can learn about useful tools and techniques which will help with your research while meeting other students and staff who use computers for science. Each event features a short talk followed by informal discussion over pizza and drinks. The next Research Programming Technical Social event will take place on the 24th of January; it will focus on the Gamma project and its effort to make open data accessible and relevant to wide audience. Find more information and how to register. The previous presentations of these monthly events are available on the website of the UCL Research Programming Hub.